In many area Mathematics makes your life easier and faster. This paper contains the SQL Server database design to get benefits of Bitwise operation in terms of size and performance. When database table grows in size then its bit difficult to manage insert update deletes and Index maintenance. It’s very difficult to modify the existing schema as well. For example if you want change one datatype say, INT to BIGINT, the operation would take its own sweet time to complete which is directly proportional to the number of records in the table. More number of records resulting in slow query performance and large amount of space. Which could affect the ETL process. To overcome these two problems, size and performance, database design can play a very important role. This paper tells you some tricky design to overcome these two problems. 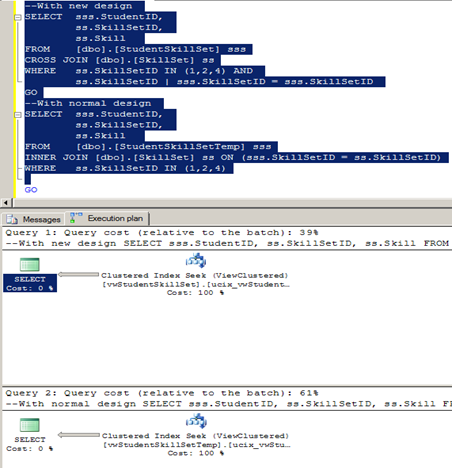 You might be aware of the bitwise operation in SQL Server. Let’s step back and see how it works. Lets consider the simple example of Student and their SkillSet. We need to populate SkillSet table as shown in below. 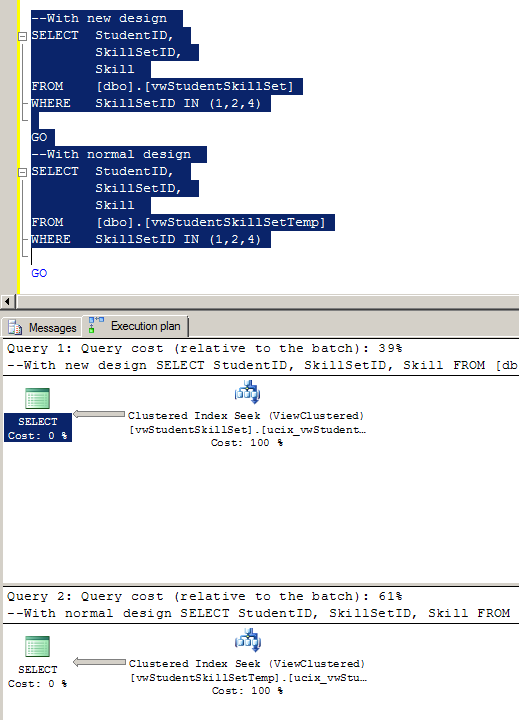 Now consider Student 1 has skills sets MS Access, MS SQL Server, MySQL. We need to store Student and their skill sets. Consider the table StudentSkillSet like below. This is the normal way of storing the relational data. This approach reduces the number of records. As you see earlier you have 3 records for StudentId 1. Now how to relate this 112 number with IDs associated with MSAccess(16), MS SQL Server(32) and MySQL(64). Here we will use bitwise AND to get the SkillSetIds associated to number 112. 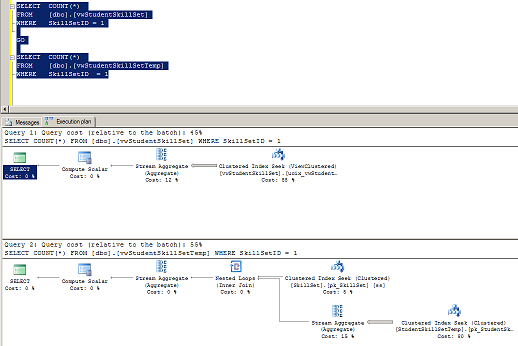 Just run the following statement in query analyzer. Only skill sets which are non zero are associated to 112. Isn’t it simple? How it reduces the number of rows and size of table. For that consider there are 1 million students and each student has 10 skillsets. Then there will be 10 millions of rows in StudentSkillSet table. If we store the SUM of skillSetIds there will be the same number of records as in Student table. That means 1 millions. 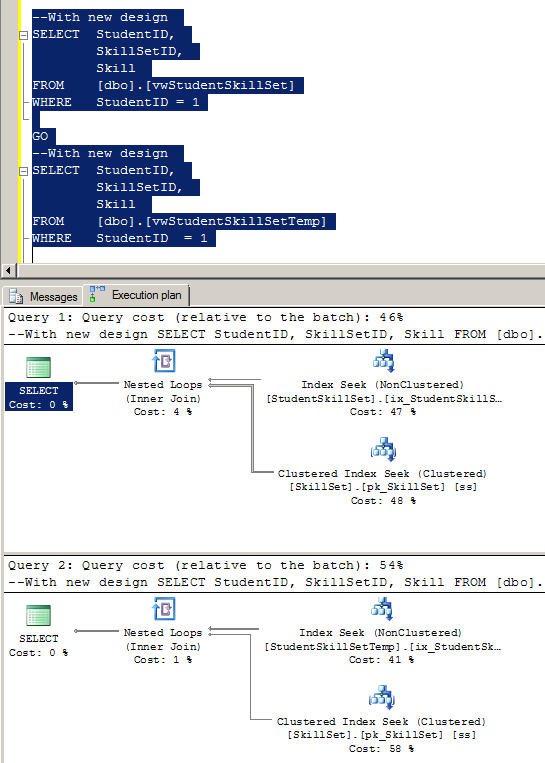 To get the space used I created two tables StudentSkillSet and StudentSkillSetTemp. StudentSkillSet table contains StudentId and sum of SkillSetIds. 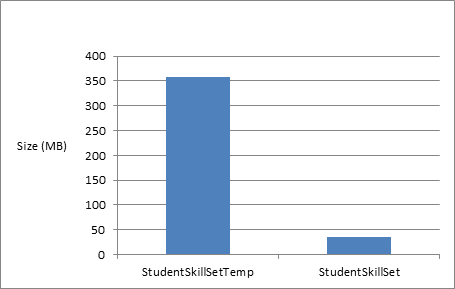 And StudentSkillSetTemp contains StudentId and SkillSetId. Here is size difference between both approaches. This is all about the size. Now step back and see if there is any performance impact of this technic. Run the below script in your test database. Please be patient for 4-5 minutes to execute below script. Now Lets look at the performance different between these two approaches. First we will run some queries against the tables directly instead of indexed view which we created above. 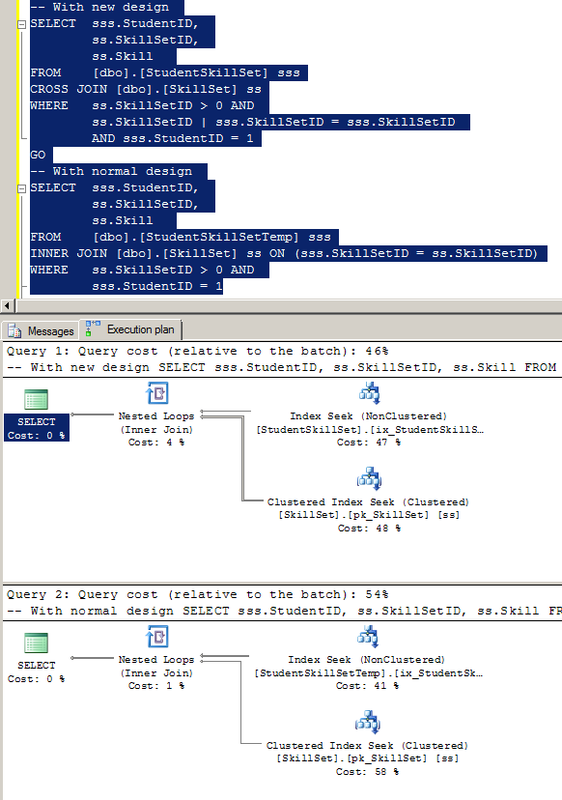 Run these queries and see the execution plan. See the execution plan in Figure 1, It’s 22% faster. Execute above queries and see the execution plan. See the execution plan in Figure 2, It’s 8% faster. See the execution plan in Figure 3, It’s 22% faster. If you observe, all the queries are running at least 22% (this number may vary depending on hardware) faster than old design. The biggest disadvantage of this design is, you cannot use it if you have more than 62 dimensions keys. In this case I used 62 Skill Sets. This is because the POWER(2,63) crosses the max limit of big integer supported by SQL Server. And binary operations cannot be performed against Float or Decimal values. This approach is very useful if you have dimensions having keys less than 63 and you have huge facts which holds these dimension keys. How to identify which version of SQL Server 2000 is running? How to identify which version of SQL Server 2005 is running? How to identify which version of SQL Server 2008 is running? How to identify which version of SQL Server 6.5 is running? How to identify which version of SQL Server 7.0 is running? Microsoft ACE Driver to load the CSV file.